Each year, the Society for Conservation GIS conducts a competitive international review of folks using computer mapping and GIS to help conservation, sustainable development and indigenous rights around the world. Our 2011 was a great success, as we were able to help over 20 hardworking conservationists from around the world for the first time in many years. 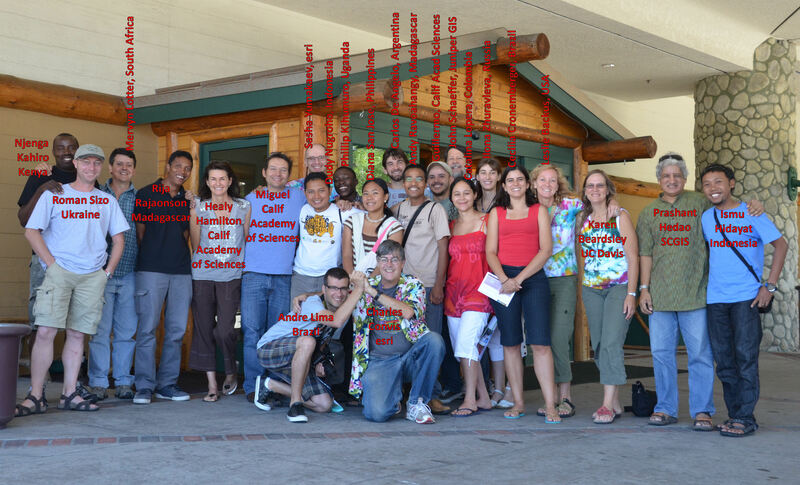 Below is a gallery of photos of their time at UC Davis, the San Diego and Asilomar Conferences, and points in between. Sponsors for our 2011 program include Jack Dangermond, The Nature Conservancy andWorld Wildlife Fund..
Gabriel Njenga Kahiro: Participatory GIS and Resource Use Assessments: A case study of Greater SegeraCommunity Conservation Trust.